I have been using a website called etailPR which helps connect brands to bloggers and vive versa. I applied for a few campaigns and Hazel & Kent was kind enough to send me some earrings for review. These are the Sparkle earrings from Hazel & Kent, They are silver glitzy earrings. When I first opened them I wasn't too sure about them as they are what I would associate with older ladies. However after putting them in I was pleasantly surprised. I thought these earrings would be really heavy to wear as they do have a but of weight to them, but when I out them in they weren't too bad. Obviously they were heavier than norma studs but not ridiculously heavy. Since it is the christmas season these earrings will be perfect for a Christmas party, Christmas day or even be years. 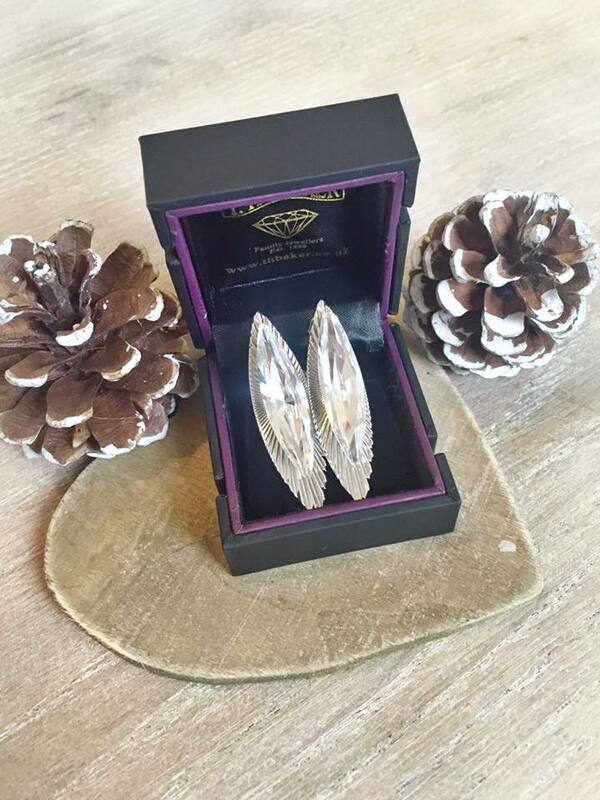 They look so much more luxurious than standard studs and they will add an extra dimension to your outfit. They would even make the perfect christmas present for someone who you love and want to make feel special.